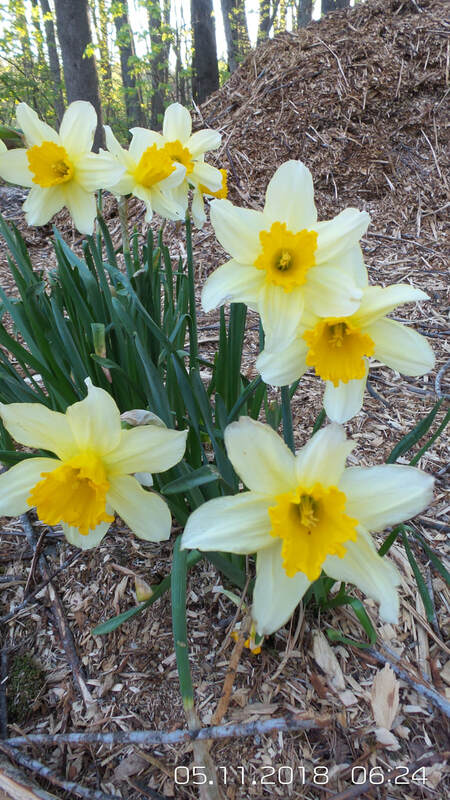 Thank you to those who purchased bulbs in 2017 and watched them bloom in the spring of 2018. We're happy to let you know that because of the overwhelming success of our first-ever Daffodil Fundraising Project we will be continuing the fundraiser in 2018. Bulbs are available for pre-order now through the 26th Annual Duck Race and Auburn Day on Saturday, September 8. 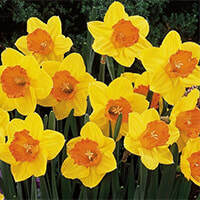 Bulbs will be available for pickup and planting in October. 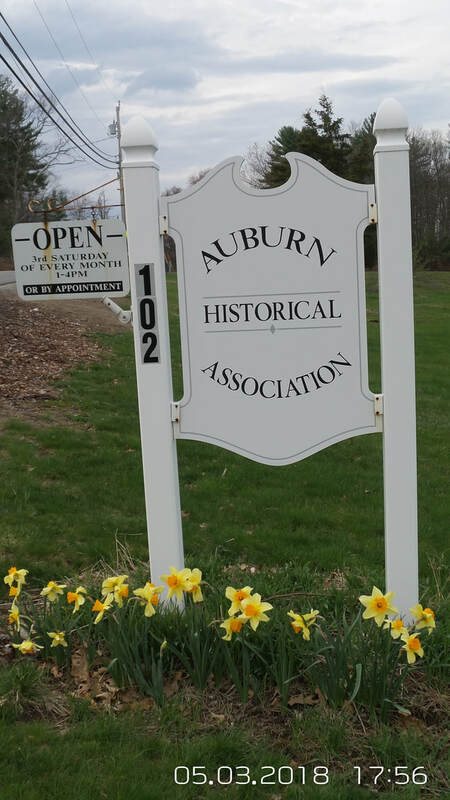 Bulbs can be pre-ordered by visiting us at the monthly AHA open house (the third Saturday of each month from 1-4 p.m.), as well as at our 2nd Annual Plant Sale and at Auburn Day on September 8. You can also order bulbs by downloading the pdf form below and mailing the form directly to us. There are three different bulbs to choose from (below). The cost is 20 beautiful bulbs for $20. 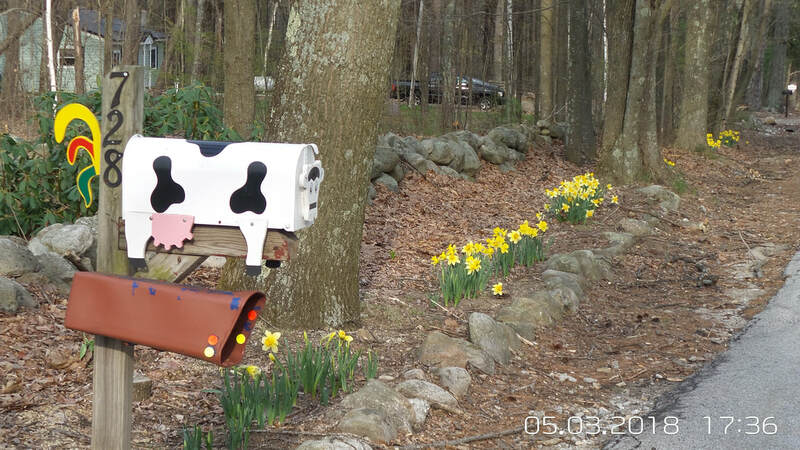 Springtime has never looked so beautiful! 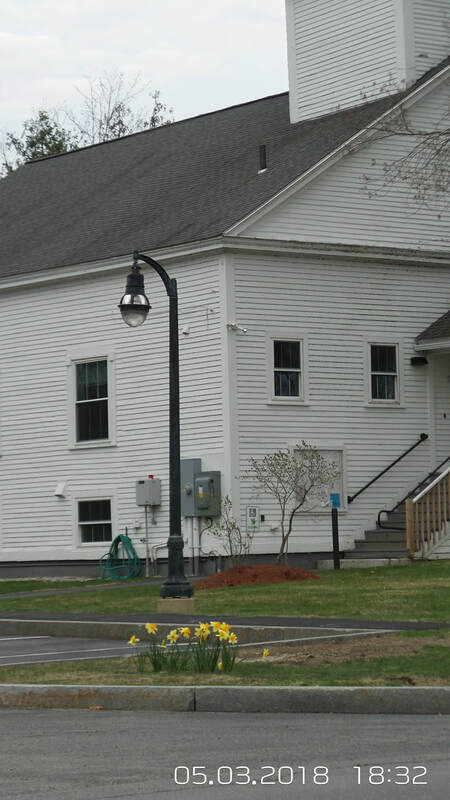 Here are a few photos from around town. 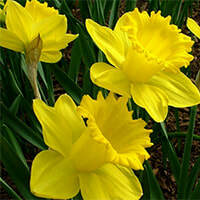 The beautification of highways and bi-ways Auburn Historical Association daffodil fundraiser was a huge success! 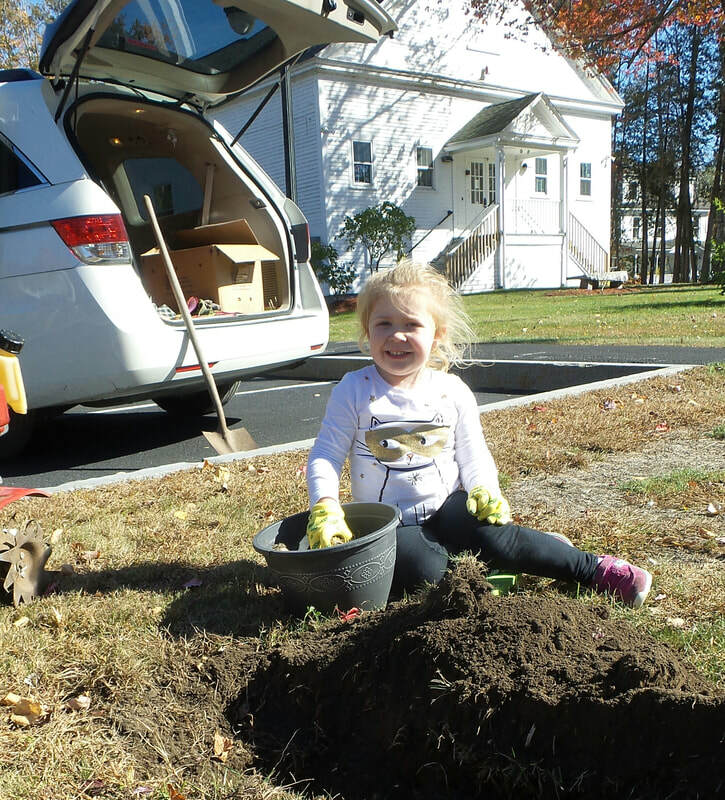 Future historian 4-year-old Lilly planted daffodil bulbs at the Auburn Historical Association, Auburn Town Hall, Exit #2 and Hooksett Road at the "Town of Auburn" sign, Auburn Village Cemetery, Circle of Friends playground, Veterans Park and the center of Auburn (at the 4 way stop sign) on October 20, 2017. 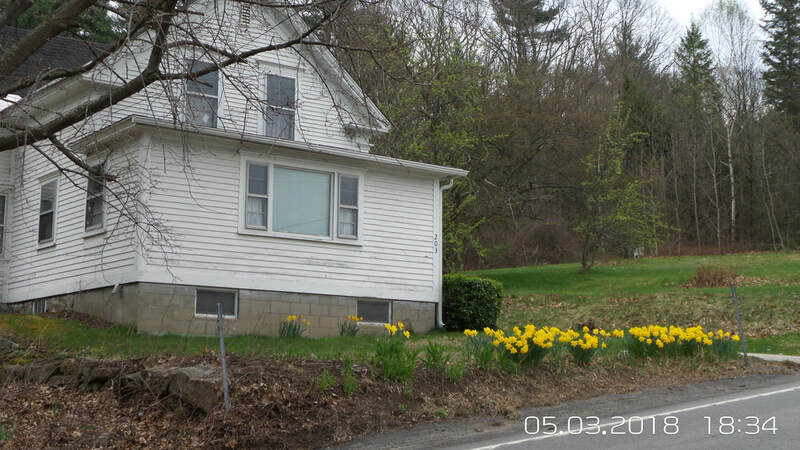 Other residents planted their bulbs in front of their homes along the roadways. 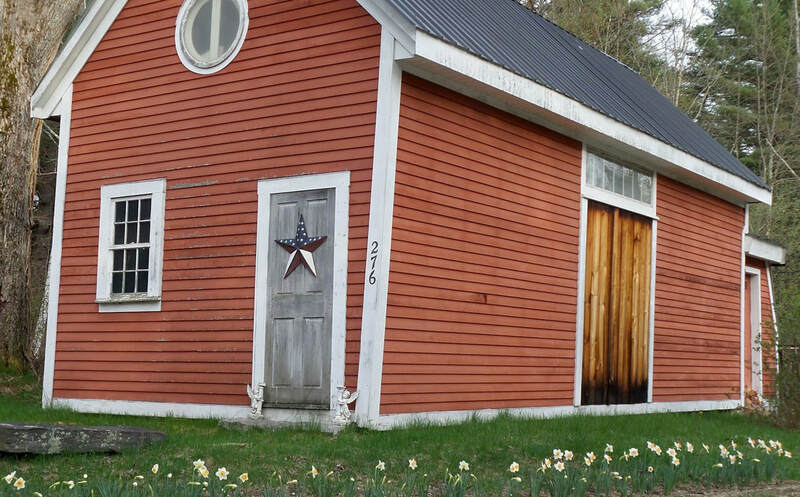 Spring will be filled with daffodil beauty in the Town of Auburn for sure. 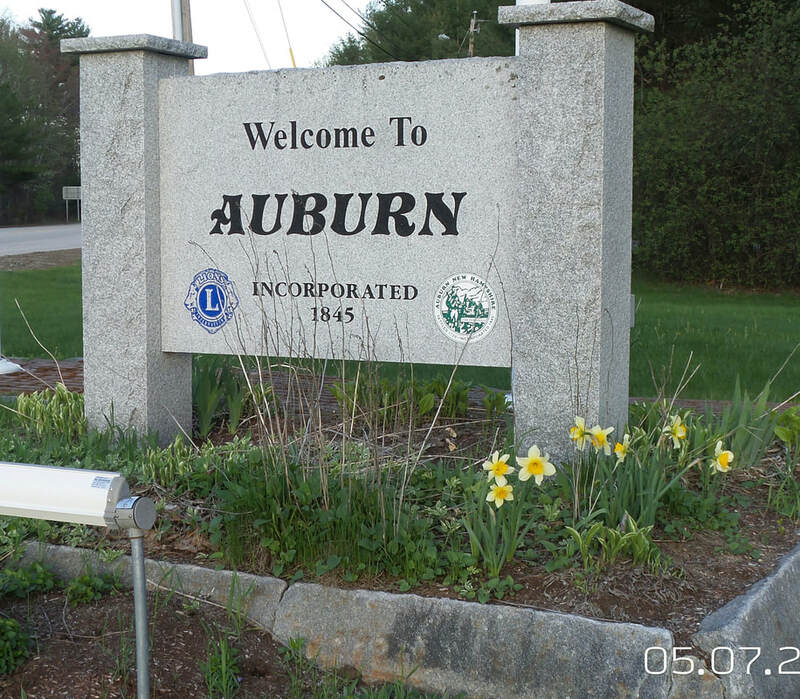 Thank you, Town of Auburn, for supporting this project! 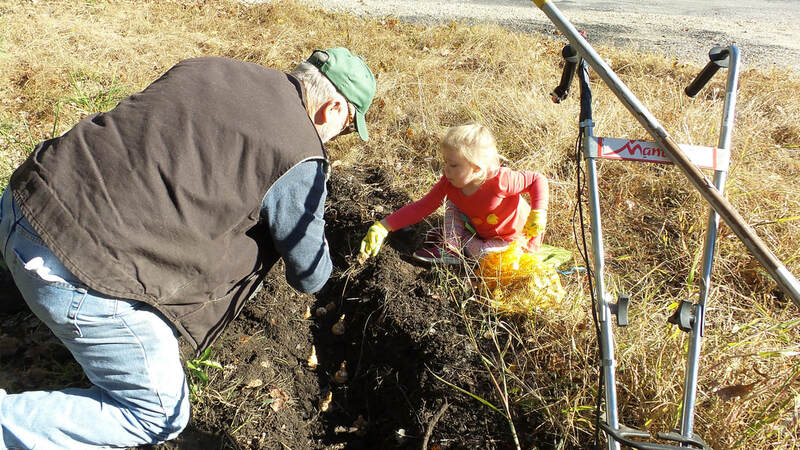 Above and below: AHA President Dan Carpenter and 4-year-old Lilly planting daffodil bulbs at the 5 corners in Auburn, New Hampshire (Coleman Road, Chester Turnpike and Dearborn Road) on Friday, October 27, 2017.